Existing mortgage: Is it necessary to refinance? In the recent times, you must have heard a lot about refinancing, isn’t it? But what is it all about? Well, refinancing can be defined as paying off an existing mortgage and replacing it with a new loan. There are various reasons why the borrowers are tempted to refinance their mortgage. 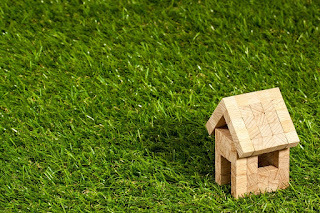 Read on to know about some of the major reasons to refinance your existing mortgage. Some years back, the interest rates available for conventional as well as FHA loans were quite high. Borrowers had no other option but to go for those high rates. However, after the sub-prime mortgage crisis, mortgage rates have reduced drastically and are at an all time low. If you’re one of them and want to take advantage of those low rates, then you can refinance your existing home loan. This will help you in saving quite a large sum of money in interest payments. One of the major reasons to get your home loan refinanced is to shorten the loan term. If you have a 30 year loan and want to lower the loan term to 15 years, then refinancing will be your only option. You can contact your existing mortgage lender or contact other lenders as well in order to get your home loan refinanced. Shopping round will help you take out some of the best mortgage deals as per your requirements. If you want to change your adjustable mortgage to a fixed rate mortgage or vice versa, then refinancing is your only option to go for. Adjustable rate mortgages offer an introductory low rate when you go for it and then the rates may increase or decrease depending upon the market situation. As the rates are going low, it can be converted to a fixed rate mortgage with the help of refinance. Thus, your mortgage rates will remain low for the loan term. If you have equity in your property and want to use it to finance any large purchase or consolidate your unsecured debt, then you should try refinancing your existing mortgage. This will help you cash out the equity that you have in that property. You can use the cash out money to pay off your medical debts, credit card bills, payday loans, etc. You may even use it as a down payment for your new car that you plan to purchase in the near future. While you refinance your existing mortgage, you will be liable for paying quite a lump sum amount in closing costs. When you plan to refinance your existing home loan, you should first decide as to how long you plan to stay in the property. It won’t be a good option to refinance the mortgage if you plan to move out of the property within the next 2 years as you won’t be able to offset the closing costs. However, if you want to stay in the property for a long period of time, then refinancing is the best option to go for.